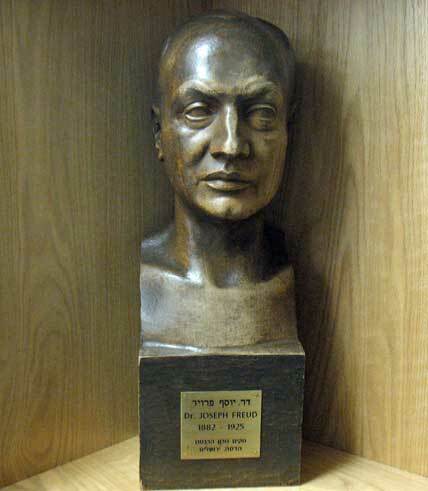 Statue of Dr. Josef Freud, 1882 - 1925, Founder of the radiation department at Hadassah Hospital in Jerusalem. Dr. Freud was born in eastern Galizia in 1882, studied medicine in Vienna and came to Palestine in 1921 following an invitation from the new hospital in Jerusalem, Hadassah. He brought with him a small amount of radium in his cigarette case placed in an inner pocket of his jacket to get the work started in the new center. 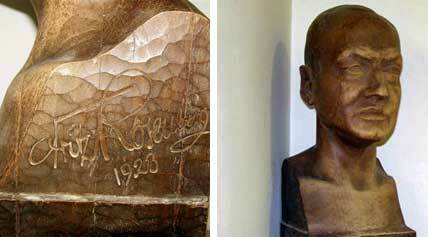 The sculptor Avi Rosenberg sculptured the face of Dr. Freud in 1923, only 2 years before he passed away. 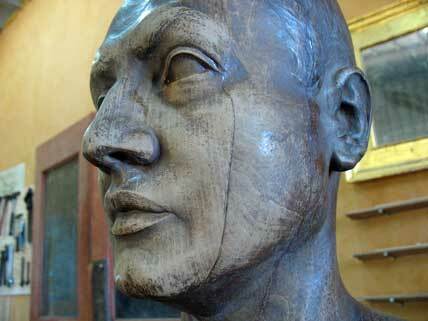 The sculpture was stored and lost and refound over the years in occupied Jerusalem. 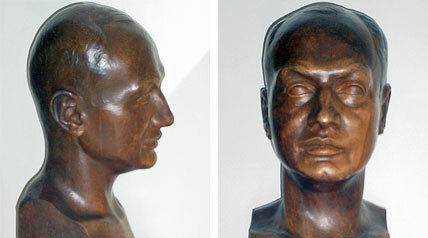 Only in 2007 did the the children of Dr. Freud's nephew locate the statue that had been kept by an administrator at Hadassah Hospital in recent years. 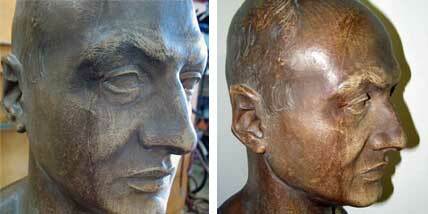 The sculpture was restored, including completion of a missing piece of an ear, gluing back the different parts of the wood that had begun to separate from the face, and application of a bronze-like finish.